At The Hopi School, children are taught both the Hopi language and a Hopi curriculum. 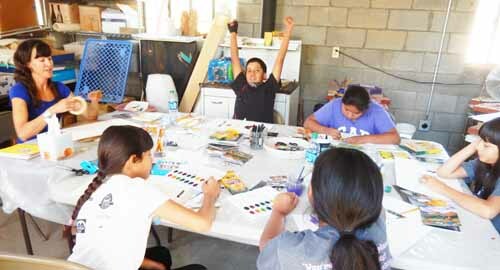 “Helping the Hopi stay Hopi.” While the statement is simplistic, it is the prevailing motive behind The Hopi School and its efforts to increase capacity, incorporate strategic planning, and bolster arts programming. With the help of funding from First Nations’ Native Arts Initiative, this Native-led school in Northern Arizona is taking steps to both solidify and strengthen its infrastructure. And it’s doing it at a critical time when Hopi culture is becoming increasingly diminished. The Hopi School opened in 2005 with a goal to develop an education process derived from the Hopi people. As such, it would be holistic. Instead of teaching math, science and social studies separately, subjects would be integrated. Students would learn informally, studying similarities across subjects and incorporating knowledge through hands-on, cause-and-effect experiences. According to Hopi School Facilitator Dr. Robert Rhodes, this approach to education is more in line with the creative, artistic way that Hopi learn, and it could be a key factor in improving academic outcomes for Native youth down the road. The school focuses on academics, as well as the arts, culture, values and, importantly, the language of the Hopi people. Rhodes says that Anglo ways of teaching don’t necessarily resonate with the Hopi. 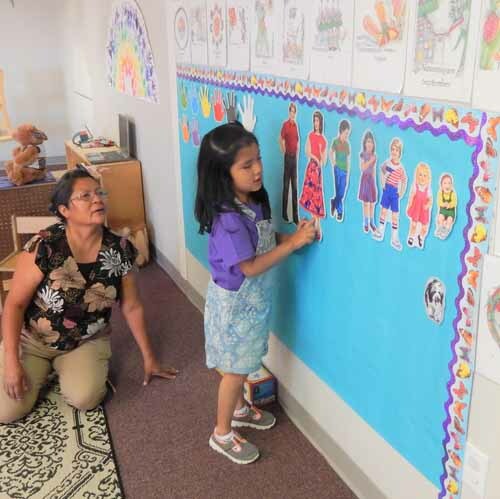 The Hopi School stands apart because it immerses students in the Hopi language, and at the same time, it presents a holistic, integrated approach to the subject areas. While the founding principles of The Hopi School are solid, the school has needed a strategic foundation to not only establish credibility but also set a direction for the future. It has needed improved fiscal management, as well as the financial foothold to pursue further goals, such as expanding operations and moving toward larger goals – more classes, more students and a year-round school offering. Students learn arts, culture and language to keep the Hopi way of life alive. To accomplish this, key objectives of the Native Arts Initiative project were to engage the Hopi School Board, begin strategic planning, and make arrangements for a fiscal audit – something that hadn’t been done in the school’s 14-plus years of operation. Finances had been managed on a cash basis. In addition, the school’s only paid staff are teachers, which means there had not been dedicated staff assigned to monitor and record transactions. With the financials documented, the school was in a better place to zero in on art and address an issue that was becoming common in the Hopi community: A decline of local artisans. Traditional Hopi crafts such as moccasins and dance sashes were becoming endangered. In the community, there were only three active Hopi moccasin makers and only a dozen dance sash weavers. Using Native Arts Initiative funding, The Hopi School – with its focus on art – was able to hold a series of artisan classes, resulting in the training of 20 moccasin apprentices and three weavers. Investing in these crafts has preserved traditional Hopi artistry and is ensuring that Hopi is incubating its next generation of traditional Hopi artists. Moreover, it has increased public awareness of the tribe as a resource for art. It has provided artists with revenue opportunities, and made possible Hopi ceremonies that depend on Hopi art. 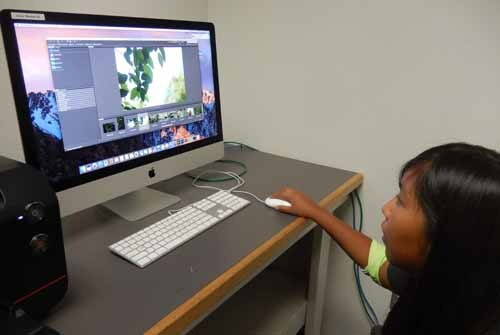 In addition to traditional crafts, students learn about photography, software and visual production. Going forward, The Hopi School is stronger than ever. The needed documentation has provided assurance of the financial integrity of the school to the Board, community members, donors and grantors. The school is positioned to continue to offer children and adults instruction in Hopi art, crafts, values and language. Today, plans are underway to expand the school’s offerings, as well as develop a year-round K-3 language-immersion class that would be in line with Arizona state education standards. The purpose of the Native Arts Initiative is to stimulate long-term perpetuation, proliferation and revitalization of traditional artistic and cultural assets in Native communities. Oftentimes, doing this requires more than passing on the skills to make moccasins or weave dance sashes. It requires investing in the financial infrastructure and strategic planning required to make art possible. Both are happening at the Hopi School. Cultural assets are being cultivated, and the Hopi are staying Hopi, which is important to us all. To learn more about the Hopi School, visit http://www.hopischool.net. Best of luck with your school. I hope it will prosper for a long time. I’ve read a couple of books about the Hopis. You are my favorite tribe and your philosophy of not initiating wars is the best. Let’s hope the rest of the world start having the same idea, and real soon, before it’s too late. I saw a movie many years ago, “Koyaanisqatsi”, which I believe means “world out of balance”, is that a Hopi word?